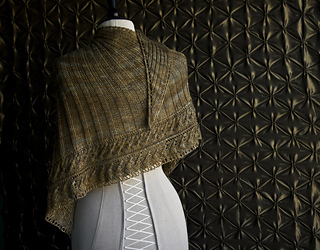 Meet Loie, an Art-Nouveau-inspired shawl that’s the result of a collaboration between designer Beth Kling and Lilou yarns. 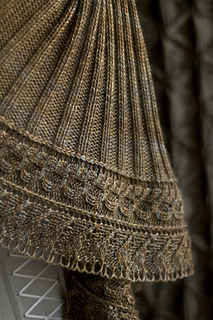 Created specifically to showcase Lilou’s Posh DK yarn, Loie (named after Art-Nouveau-era performer and modern dance pioneer Loie Fuller) is an asymmetrical triangular shawl with a neck-hugging ribbed body and a knitted-on cable and lace edging meant to evoke the complex and curvaceous borders featured so prominently in the art and decor of the period. 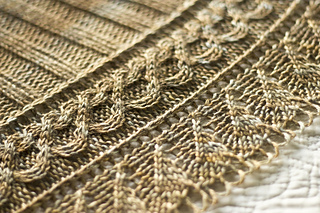 Until March 1, 2014, the Loie pattern will be offered exclusively as part of a kit available through the Lilou Etsy shop. 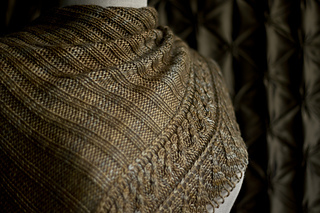 The first batch of kits will go on sale at 4:30pm EDT (click to see the time in your own time zone), October 30, 2013. 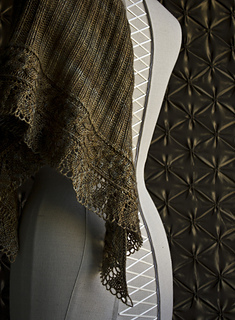 For additional details (like available, ready-to ship colorways and pre-order opportunities), be sure to check out Post #8 in the Shop Updates & News thread over in the Lilou Group. 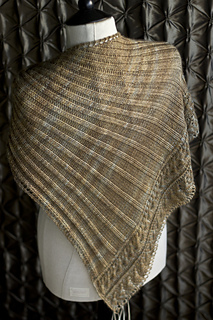 The French version of the pattern is now available. 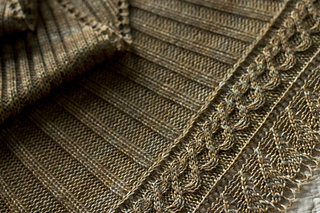 As of March 5, 2014, all Loie pattern purchasers will automatically receive 2 PDF files: one English and one French. A big “thank you” to Christelle Nihoul and Sophie de Bock for their translation skills.